When Chris Paul joined the Los Angeles Clippers this December, some observers suggested that he could help turn the Clippers into the city's marquee basketball team. That idea was always misguided — the Lakers have been good for so long that their fans have developed a serious attachment. However, it's hard to imagine that CP3 didn't accept his trade without some hope that he could win over a critical mass of fans in L.A. County. His degree of success is up for debate. NBA stars have been criticized for improper allegiances before — think of LeBron James, Akron native and then a member of the Cleveland Cavaliers, wearing a Yankees hat — but as far as I know no players have been booed by their hometown fans for wearing the right cap and smiling to the camera. On top of that, Paul's really adorable son Chris (aka CP4) theoretically should have deflected some of the boos. Nevertheless, Dodgers fans booed him, and it's hard to see it being for any reason other than that he plays for the Clippers. With the playoffs set to start soon, the Lakers and Clips are rivals, and it's clear which franchise is the lesser in the eyes of the population. When faced with a choice, fans are going to opt for Kobe and the rest of the purple and gold. There's really no other option. 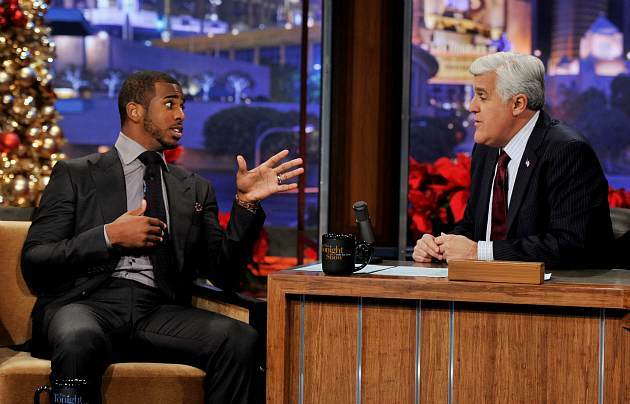 Hopefully CP3 and his family can find safe haven at other L.A. sporting events. But to get cheered, wearing the right apparel isn't enough. He might need to put on a Lakers jersey, too.